Is Altos de Leona Mar the right community for you? 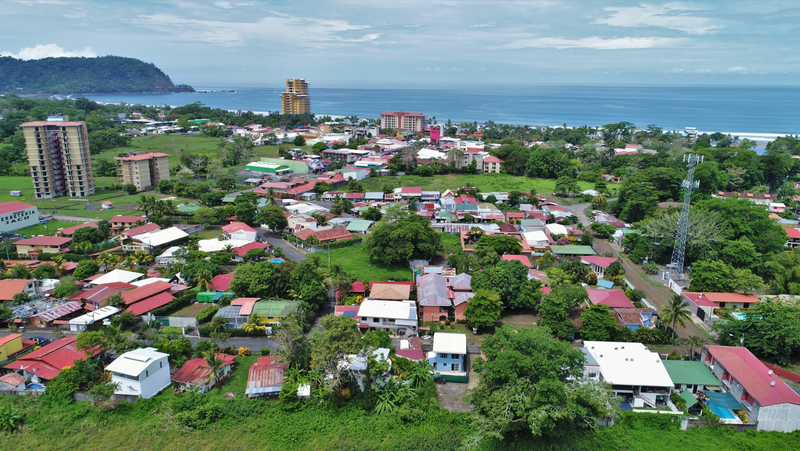 Altos de Leona Mar is a community that is located in the Punta Leona Resort on the Pacific Coast in Costa Rica. Altos de Leona Mar is the most exclusive location in Punta Leona and this hill side neighborhood offers breathtaking views over the ocean. In Altos de Leona Mar you find luxury homes and condominiums that overlook the mountains, rainforest, ocean and Playa Blanca. Several homes are for sale in this community or for rent. Punta Leona is a popular vacation destination for Costa Ricans and foreigners. The homes offer a luxurious lifestyle in a prestigious community surrounded by natural beauty. Punta Leona Resort is 1 hour drive from San Jose and the airport. Punta Leona is a very secure resort and Altos de Leona Mar is a very safe, gated neighborhood As a resident of Punta Leona Resort you have access to all the resorts facilities such as supermarket, restaurants, beach, swimming pools, tennis courts and miniature golf. Down the hill of Altos de Leona Mar is Playa Blanca situated, this secluded white sand beach with its turquoise water is absolutely beautiful. This is the perfect place to relax and enjoy the sunshine or be active. The water is perfect for a swim or to snorkel. Kayaking, surfing or stand up paddle boarding are popular activities in Punta Leona. Several towns are near Punta Leona. The small typical town of Quebrada Ganado is the closest and here you find basic stores. Herradura Bay and the beach town Jaco are a short drive from Punta Leona. In these towns you find all the amenities you need such as supermarkets, banks, spa, medical services, work out studios, shops and a movie theater. The towns also offer many restaurants and you can choose between local food or high end dinner options. Jaco is well known for its nightlife and there are many entertainment options.